A female UC Berkeley graduate is the latest to speak out against a campus professor, alleging sexual harassment. In a lawsuit filed May 19, Nicole Hemenway, who graduated in 2015, revealed a detailed account of her relationship with Blake Wentworth, her former thesis adviser and South and Southeast Asian studies professor. She accused Wentworth of sexual harassment — alleging instances of inappropriate comments, physical contact and unprofessional behavior. “Ms. 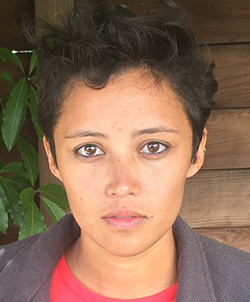 Hemenway was placed in fear of entering the Berkeley campus, prevented from fully completing her honors thesis and her ability to apply and be accepted into graduate school in her chosen field of South Asian History was harmed,” the lawsuit alleged. 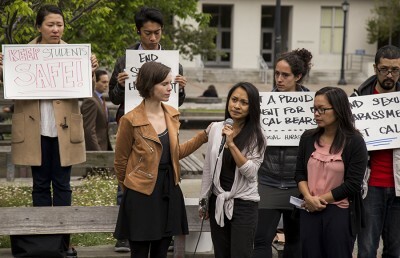 Hemenway also filed a lawsuit against the campus and the UC Board of Regents under the Fair Employment and Housing Act, alleging that the campus failed to provide a safe and nondiscriminatory workplace. Wentworth declined to comment on the lawsuit or allegations. Arabelle Malinis, Hemenway’s attorney, said the campus needs to have a clear and transparent process for victims to file complaints against faculty members. She added that the current process for reviewing complaints is “Byzantine” and involves many layers of review that often result in faculty members never getting properly disciplined. “Faculty members who were accused of sexual harassment and (whom) there is a pending investigation against should not be on campus,” Malinis said, adding that they pose a threat to student safety. Two campus graduate students, Kathleen Gutierrez and Erin Bennett, filed complaints to the campus Office for the Prevention of Harassment and Discrimination, or OPHD, against Wentworth last year for allegations similar to the ones Hemenway raised. OPHD determined six months after the complaints were filed that Wentworth had violated the UC policy on sexual harassment and sexual violence in Gutierrez’s case. 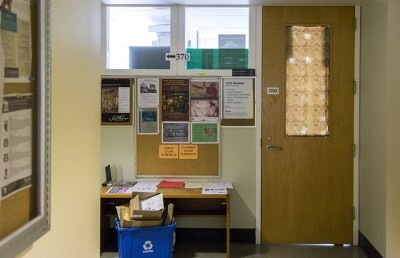 In a letter sent in March, tenured faculty of the department of South and Southeast Asian studies, condemned the administration for its slowness in investigating a case of alleged sexual harassment by Wentworth. Hemenway said that when she started working with Wentworth on her senior thesis, she was not aware of sexual harassment concerns that were raised against him. She said Wentworth brought it up with her in November 2014 after he had been approached by faculty members in his department to discuss a sexual harassment complaint that was filed against him by a student. “If I wanted to mess around with other women, I’m from here. I know a lot of people,” Wentworth said to South and Southeast Asian studies former department chair Jeffrey Hadler in an email obtained by the Daily Californian from Hemenway. Wentworth confronted Hemenway afterward, believing that she had filed the complaint, and asked in the future that she direct any concern to him directly rather than the administration, according to Hemenway. After Hemenway reassured Wentworth that she was not the person who filed the complaint, Hemenway said Wentworth told her that other members of the department were trying to get him fired and that she should not trust them. She said Wentworth then called her a “gorgeous young woman” and said she was an “obvious target” for sexual harassment, according to the lawsuit. 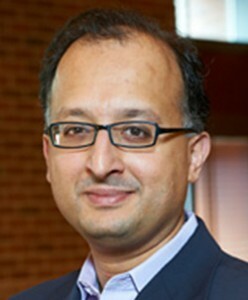 “Middle-­aged men with gossipy tongues should not impede your right to craft a consummating work of excellence for a stellar collegiate career,” Wentworth said to Hemenway in an email in 2014, addressing confrontations from other faculty members about sexual harassment concerns. Hemenway said she felt compelled not to report Wentworth’s behavior because she relied on his recommendation letter as well as his connections and experience to get into various graduate programs. Hemenway added that she felt uncomfortable around Wentworth and wanted to skip her graduation ceremony in order not to see him. She said that the last communication she had with Wentworth was in an email he sent in April asking for Hemenway’s home address. The goal of her lawsuit, according to Hemenway, is to remove Wentworth from campus as well as to improve campus response to sexual harassment allegations. Campus spokesperson Dan Mogulof declined to comment.